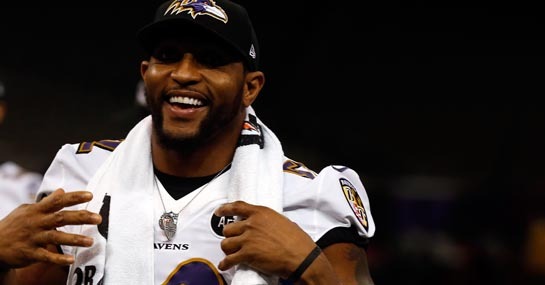 With the Super Bowl just hours away fans of the Baltimore Ravens and the 49ers will be starting to get rather jittery – but it will be nothing compared to how the players will feel. The Super Bowl brings out the nerves in even the most seasoned of players but with two teams lacking much in the way of experience at this level of the game, mistakes and safe plays should be expected. Speaking to the San Francisco Chronicle, Hall of Famers Michael Irvin and Emmitt Smith recalled how their “knees buckled” as they walked onto the field for their first taste of Super Bowl action and that will be the case for plenty of players this Sunday. The same paper notes that of the the 106 players on the 49ers’ and Ravens’ rosters, only eight have played in a Super Bowl previously. And of those eight only the 49ers center Jonathan Goodwin and linebacker Clark Haggans and the Ravens’ linebacker Ray Lewis have a Super Bowl ring. Last year’s Super Bowl was a tight and edgy affair with the Giants coming out on top of the Patriots 21-17 and things promise to be just as low-scoring this time out. With two inexperienced line-ups, backing there to be under 47.0 points at 10/11 looks like a bet worth serious consideration.